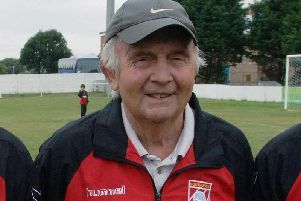 Worthing footballer Mickey Demetriou will aim to add another cup upset to his scrapbook on Saturday. 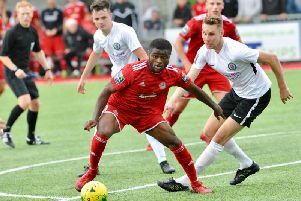 Worthing boss Adam Hinshelwood has praised David Ajiboye’s start to the season but feels there’s still more to come from the former Brighton forward. 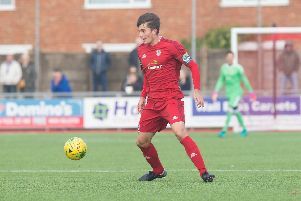 Midfielder Rhyle Ovenden hopes to climb the football ladder with Worthing after returning to action on Saturday following a frustrating ten months on the sidelines. Striker Glenn Murray says Brighton will take the positives after collecting five points from four games over a busy festive period. 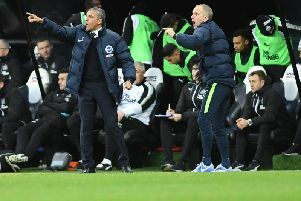 Albion boss Chris Hughton hopes the best is yet to come from Jose Izquierdo after the Columbian winger’s man-of-the-match performance in the 2-2 draw with Bournemouth on New Year’s Day. 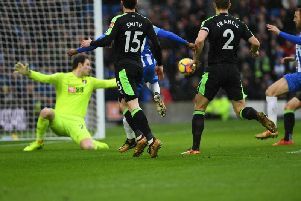 Defender Lewis Dunk felt Brighton’s performance in their 2-2 draw with Bournemouth on New Year’s Day was up there with the best they’ve produced this season. Were you at the Amex yesterday for Brighton's 2-2 draw with Bournemouth?. Check out our selection of fan and action pictures. Brighton twice led but were forced to settle for a 2-2 draw at home to Bournemouth this afternoon. Here's six things we learned from the game. 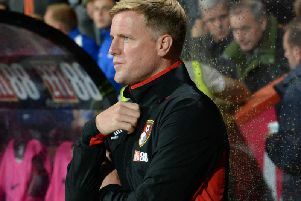 Bournemouth boss Eddie Howe felt his side shot themselves in the foot by conceding early in each half of their 2-2 draw at Brighton - and added his side potentially could have had four penalties. 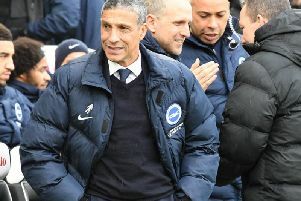 Brighton manager Chris Hughton felt his side dropped two points in their 2-2 draw with Bournemouth this afternoon. 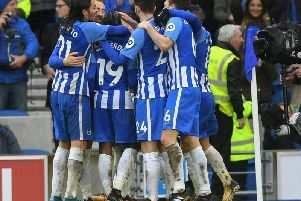 Brighton were held to a 2-2 draw at home to Bournemouth to start the New Year after the Cherries twice came from a goal down to earn a point at the Amex. 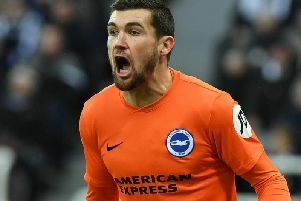 Goalkeeper Mathew Ryan believes it is only a matter of time until the goals start to flow for Brighton again. 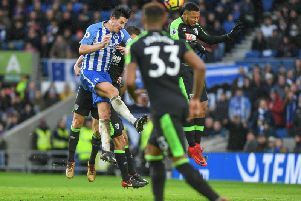 Goalkeeper Mathew Ryan played down his two excellent second-half saves in Brighton's 0-0 draw at Newcastle this afternoon. 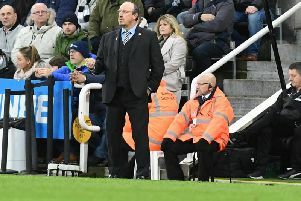 Rafa Benitez admitted Newcastle did not play as well as he wanted but felt Mathew Ryan was the busier keeper in today's 0-0 draw at St James' Park. 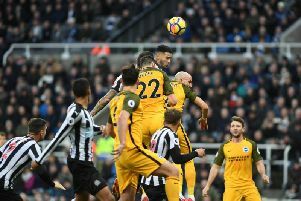 Brighton boss Chris Hughton praised goalkeeper Mathew Ryan after his side's 0-0 draw at Newcastle this afternoon - and felt Albion were the better side at St James' Park. Brighton ended a four-game losing run on the road with a hard-fought 0-0 draw at Newcastle this afternoon. 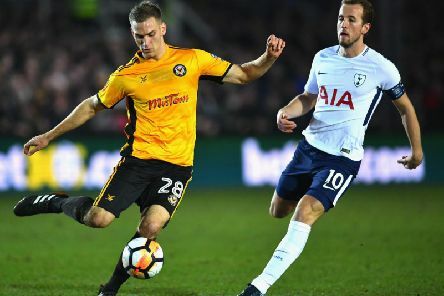 The transfer window re-opens in a couple of days which is sure to mean a busy time for football clubs in England.